please join us at our Friday or Saturday clinics if you want help making! All the patterns on this page are authored by Stitch Central and are free for personal use. If you make or share, please tag or credit Stitch Central. 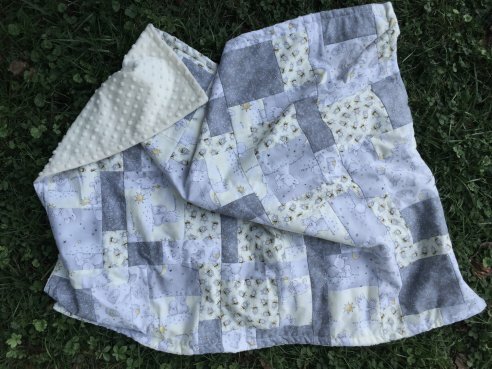 A modern take on the traditional Shoo Fly block, supersized to make a quick lap quilt, with a finished size of 60" x 60". Choose two fabrics from the same collection or choose a contrasty/complimentary/dramatic/subtle pairing to make it your own. 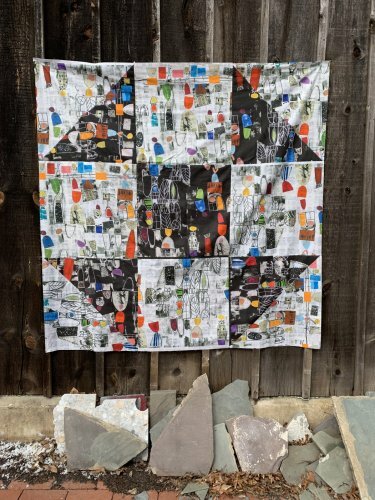 Ours is made with the two colorways of Marcia Derse's Art History 101 fabric. 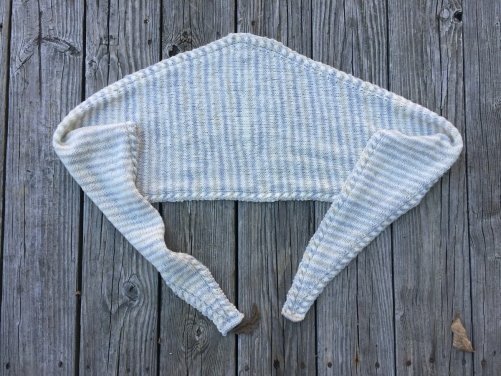 The Cote des Neiges scarf is knit with two skeins of Briggs & Little Softspun Lite N Fancy yarn, one skein each of two different colors. 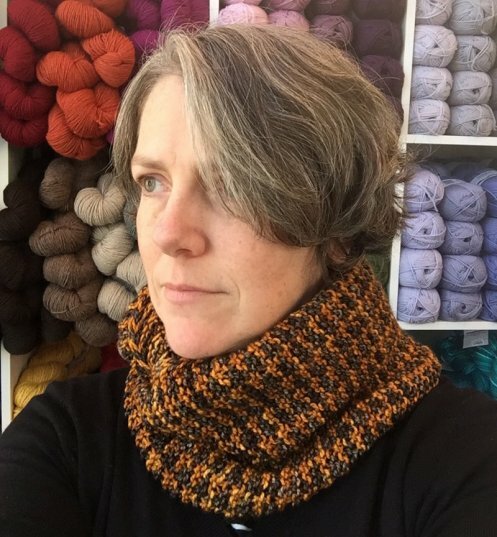 It's a fairly simple scarf, with an easy cable pattern and one short row section, perfect for learning to do cables! Finished scarf size is about 68" wide, and about 13" deep at the peak. 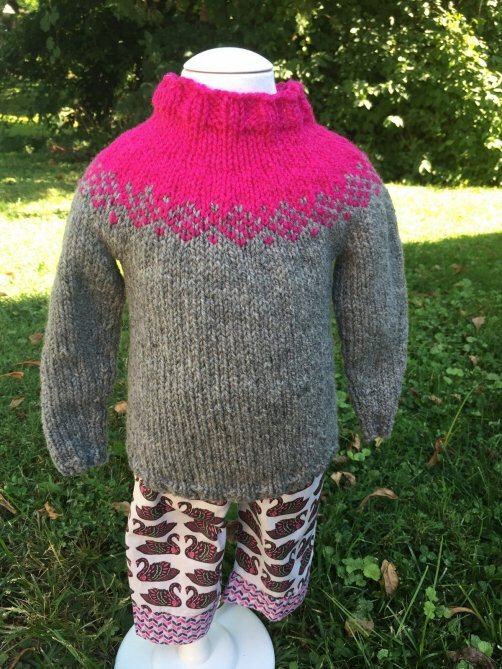 An easy top-down yoke sweater in baby sizes, with a cute fair-isle pattern suitable for beginners. 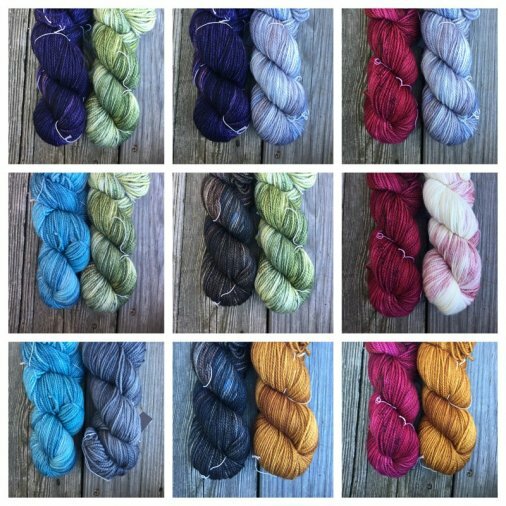 Knit with two-three skeins of Briggs & Little Heritage yarn, or any DK weight yarn.